When most people clean tile and grout, they find themselves on their hands and knees using a toothbrush to scrub the grout. This is hard work and ultimately superficial cleaning, not a long-term solution. A lot of dirt gets embedded in grout lines and could potentially be embedded in the concrete of the grout lines. When this happens, more remediation is required. 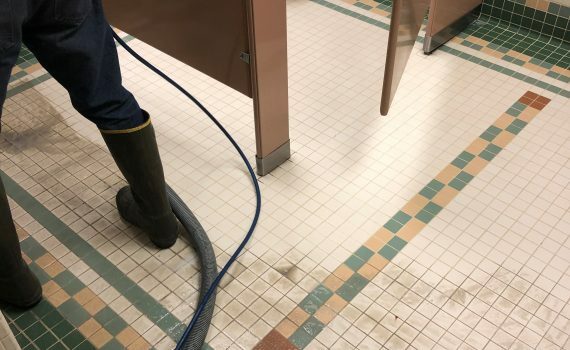 Our tile cleaning services include laying down a specially formulated high alkaline cleaner which cleans organic materials such as oil, grease, and food items. After it dwells, we use a special grout brush with very hard bristles to clean the interiors of the grout lines. We also use a very high-pressured hot water to surgically remove the dirt from in between the grout lines and extract at the same time. The vacuum pulls dirt from below the grout lines as well as on the surface. At times it is necessary to also use an acid based cleaner on the grout if minerals needs to be removed from the grout. We recommend sealing the grout after cleaning. If the grout is not stained, we can use a water-based sealer to keep future dirt out. Sometimes grout can be permanently stained. 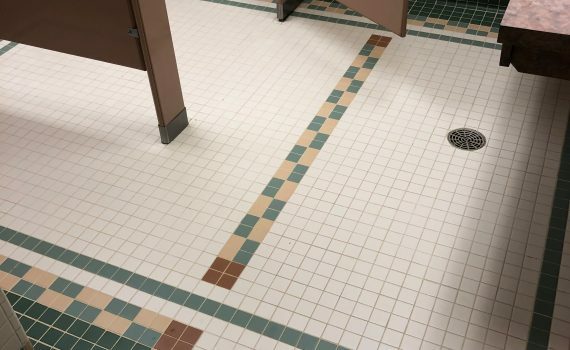 In those cases, we can seal the grout with a color seal to give the floor a new uniformed appearance and protect it from future soiling. Sweep the floor, if necessary, to remove any loose debris. We apply a high alkaline pre-spray to begin breaking down the soils and grease. Allow time to dwell. Extract using high heat and high pressure to surgically remove dirt, grease and bacteria from the tile and the grout lines. If necessary, we address mineral based stain with an acid based punch. Rinse and extract to onboard waste tank to remove all soil and solution. If desired, apply water-based sealer to the grout lines to protect against re-soiling. 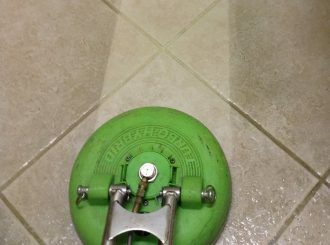 Will all the stains be removed from my grout lines? We won’t know fully until we begin work on the floor. Concrete based grout lines are very porous and can absorb stains like a sponge. Our process breaks down the soils so they can be extracted during the cleaning cycle; however, some stains are permanent, just like staining on clothing. If my grout is permanently stained, what are my options? The simplest solution is to apply a color sealant. 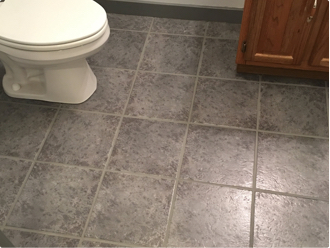 This allows you to choose the desired color for your grout and will provide you with a unified, newly restored look across our whole floor. Our color sealant will last up to 15 years.